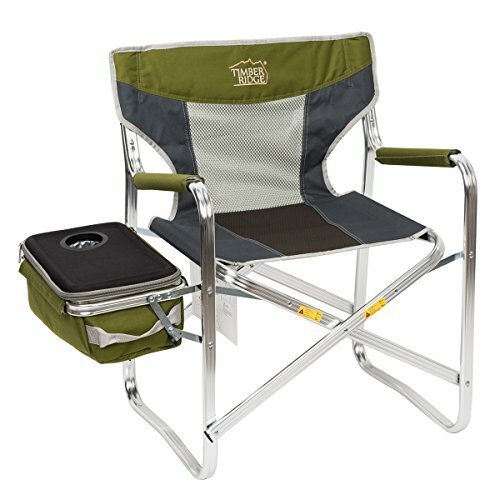 The Timber Ridge is composed of a sturdy aluminum frame, making a fashion, sturdy chair that you can count on when you're enjoying your great outdoors. A special design is the insulated cooler bag which can be folding and keep your drinks cold during your trip. The chair folds flat for easy storage and transporting and pops open when you're ready to sit down and have a rest. Timber Ridge Chair can be widely used not only in sand beach, camping, courtyard, but also in any indoor and outdoor activities. The padded armrests, wide seat, and full back provide maximum comfort experience. Timber Ridge is a professional outdoor brand which devotes to provide best outdoor experience for customers. Our products cover different fields on outdoor activities including bags, tents, wagons etc. All the products are subject to multiple strict quality tests on different extreme environments before entering market.